Refer a Friend and Earn Cash! 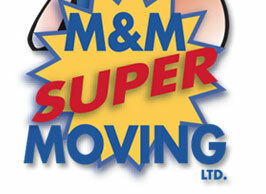 | M&M Super Moving, LTD. Send us your friend’s contact information and we’ll be in touch with them to give them an estimate on their move. Please provide us with the following information. Are you going to tell a friend to use us? If so, provide the friend’s name here and we’ll send you a check for 2% of their moving bill if they use M&M for their move. We will not contact your friend; it is up to them to be in touch with us. NOTE: You must provide this information in advance of your friend’s contact with us; we do not pay retroactive commissions once we have given an estimate or scheduled a move with your friend. *All starred fields are required.